At UNB’s Mi’kmaq-Wolastoqey Centre, the month of October is devoted to bringing awareness to missing and murdered Indigenous women in Canada. The third annual Red Shawl Campaign serves to bring the community together in recognition of these tragedies, while also providing comfort and support to victim’s families. 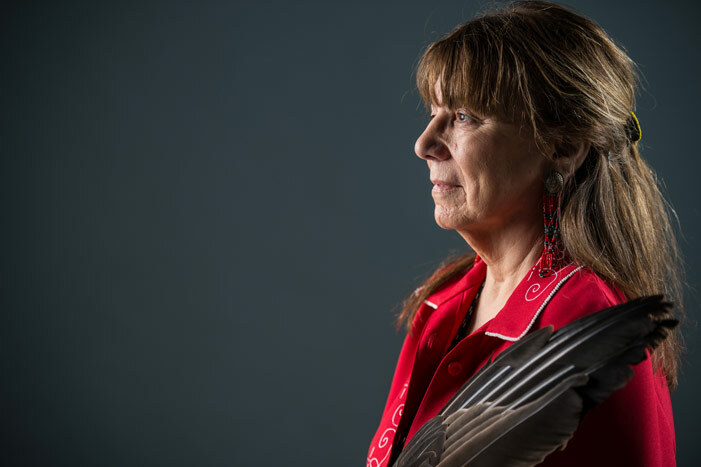 A number of special events will take place from Tuesday, Oct. 10 to Friday, Oct. 13, including the opening of the Red Shawl Exhibit with Elder Imelda Perley and the Red Shawl Healing Walk at City Hall. The campaign’s main event, the “Ghosts of Violence” ballet, is being presented by the Atlantic Ballet Company on Oct. 10 at 6:30 p.m. at the Fredericton Playhouse. The ballet has been creatively adapted to honour the Indigenous women of the Wabanaki Territory - the Mi’kmaq, Wolastoqiyik and Passamaquoddy. In the spirit of reconciliation, Igor Dobrovolskiy, co-founder and artistic director of the Atlantic Ballet Theatre of Canada and CEO and co-founder, Susan Chalmers-Gauvin, have collaborated with UNB faculty and volunteers to present Indigenous tradition, culture and symbolism to the greater public. By weaving dance with Indigenous culture, music and language, “Ghosts of Violence” aims to raise awareness of missing and murdered Indigenous women. It is an innovative and poignant call for awareness, understanding and action. 10 a.m. - Opening of the Red Shawl Exhibit and ceremony with Elder Imelda Perley, Alumni Memorial Building, UNB. 11 a.m. - Red Shawl Panel with Elders, Alumni Memorial Building, UNB.